Migrating computing resources to cloud environments opens up new attack surfaces previously unknown in the world of premise-based data centers. As a result, cloud-native data breaches frequently have different characteristics and follow a different progression than physical data breaches. 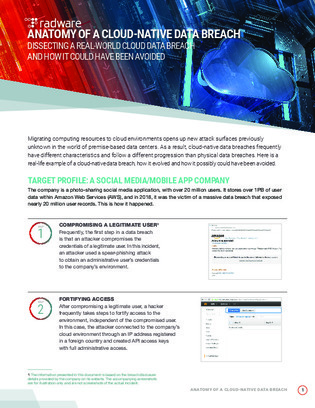 In this resource, learn about a real-life example of a cloud-native data breach, how it evolved and how it possibly could have been avoided.